Victoria’s Charlie Campbell scored the game winner Wednesday night. The big guns were silent, but the Victoria Grizzlies had plenty of other artillery to storm back on the Cowichan Valley Capitals and pick up a 6-4 win. Led by a pair of goals from Darwin Lakoduk and a mid-third period game-winner from Charlie Campbell, the Grizzlies pushed their win streak to three games and extended their lead atop the B.C. 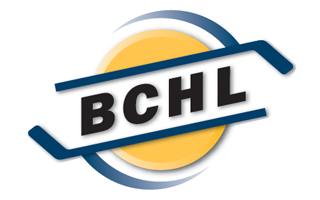 Hockey League’s Island Division to seven points over the Powell River Kings. While the Island Division last-place Capitals held the Grizzlies’ top line of BCHL leading scorer Alex Newhook, 2018 New York Rangers draft pick Riley Hughes and Kyle McGrath to just one assist by McGrath, the fourth line off Lakoduk, Eddie Yan and Stephen Konroyd came to life to help spell off a slow start by their netminder Kurtis Chapman. Coming off big weekend wins over the Wenatchee Wild and Merritt Centennials, Chapman was beaten by Jordon Roberts with the game’s first shot just 54 seconds into the contest. Roberts then added another with 3:40 left in the opening period to send the Capitals into the break up 2-0 on a stunned Grizzlies team. Blue-liner Jeremy Bucheler got the Grizzlies on the board 1:51 into the second, floating a wrist shot past Caps goalie Pierce Diamond. Lakoduk struck for his first of the night at the seven-minute mark, but Chapman’s troubles continued late in the period as Cowichan went to the intermission up 4-2 despite being outshot 24-12. Lakoduk and defenceman Kenny Johnson drew the Grizzlies even before the third period was five minutes old, setting the stage for Campbell’s game-winner. The 19-year-old winger from Montreal banged home a Bucheler point shot nine minutes into the final frame to give the Grizzlies their first lead. Campbell’s younger brother, Alex, added an empty-netter with 19 seconds to play. Chapman made 16 saves to pick up his 25th win of the season, while Diamond turned aside 29 Grizzlies’ shots. 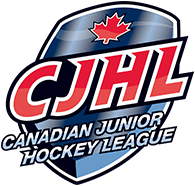 Cowichan (16-32-5-1) missed an opportunity to jump over Alberni Valley into fourth place in the Island Division. They remain one point back of the Bulldogs. The Grizzlies now get ready for a busy weekend as they host Alberni Valley on Saturday night, then head to Powell River for a big matchup with the Kings on Sunday afternoon at Hap Parker Arena. LOOSE PUCKS: Yan returned after missing three games with an illness and picked up an assist.